Robin’s nest, campion seedpod,cast of a medieval pilgrim’s badge, acorn, imprint of heather. 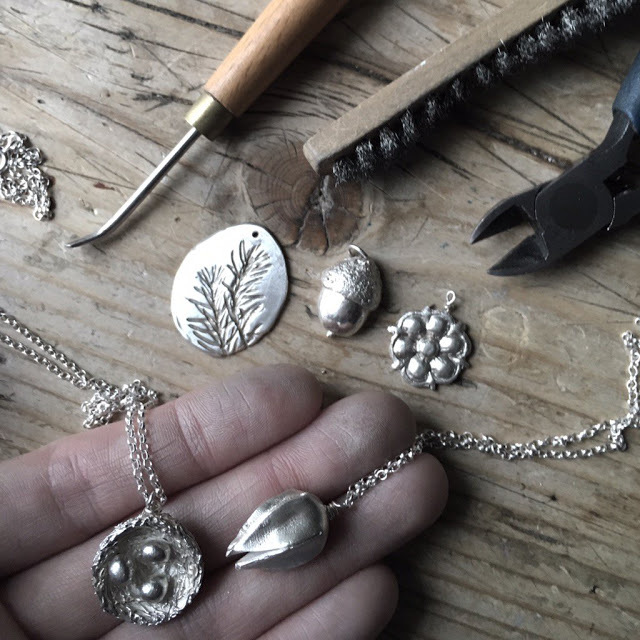 In recent months I’ve been in talks with several excellent folk around the UK and even in Europe about hosting my jewellery-making workshops. The edge of the Fens can be tricky to get to and besides, I’m very fond of a road trip. One of the highlights of 2015 for me was a workshop hosted by garden designer Emma Bond in her beautiful studio in Bath. The image below is a sample of the pieces made by the beginners. We cast perfect replicas of sycamore keys, euonymus berries, ivy flowers, an ammonite, acorn and even a small (deceased) beetle. 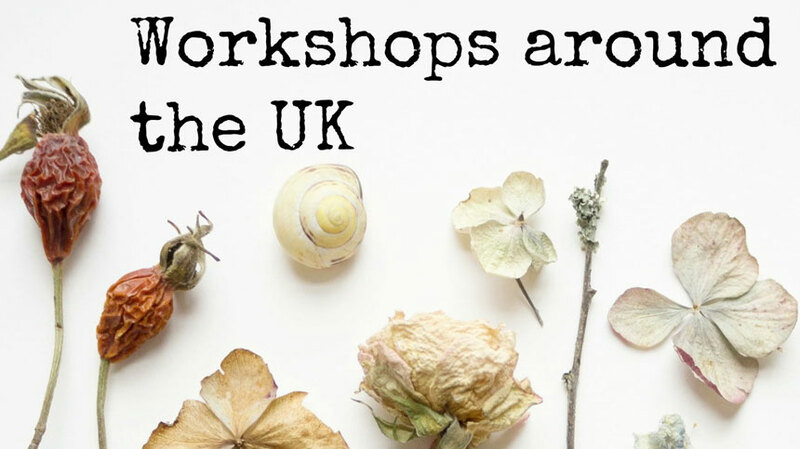 I have workshops planned in Eastbourne (18th June), Bath, Leicestershire and possibly even Italy. It’s a thrilling thought that I might teach by the side of Lake Como later in the year. I’m ashamed to say that I know how to say little more than ‘Where is the old bridge please?’ and ‘what a delicious pizza’. My Italian needs some work. I’m giving away one space on one of my 2016 workshops* either here at our cottage or at one of the venues around the country (I’m seeking hostesses from late summer onwards, especially in the North West and Yorkshire). However, should you live outside the UK or would prefer one of my necklaces then I will make a one just for you (the same value as a workshop space). Perhaps you’d like a silver campion seedpod (like the one in the top image), a particular much loved bird species that you spotted on a walk or maybe a tiny replica of its nest. 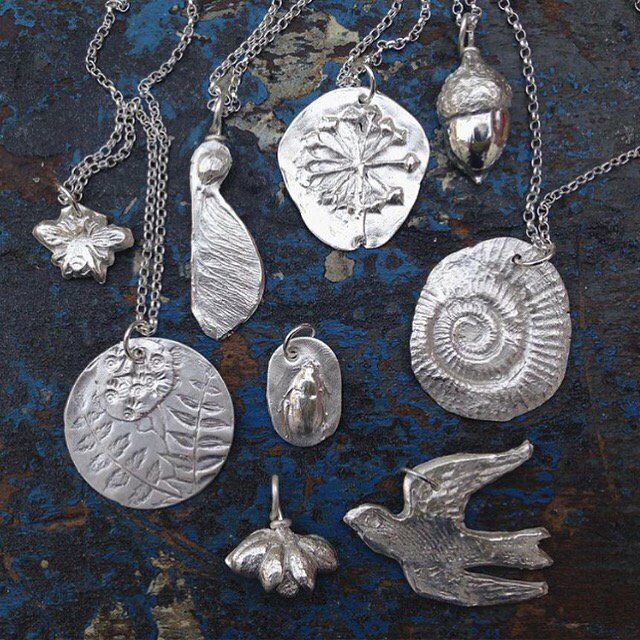 Maybe you’d choose a sprig of blackthorn blossom or you’d like me to cast a fossil, sea urchin or acorn in silver for you. Whichever design you hold in your mind’s eye I will make it for the winner if that’s their chosen prize. The closing date is next Thursday, 4th February and you can have up to 3 entries (by following me on Twitter, on Instagram or signing up to my blog via email). 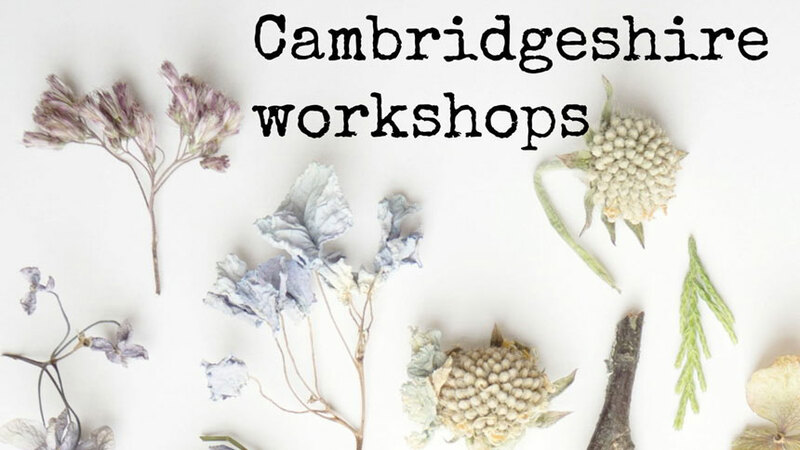 * not including my joint necklace- and posy-making workshop with Georgie Newbery at Common Farm flowers on 14th May. How exciting! 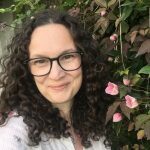 I'd love a place in your Eastbourne workshop (keeps fingers crossed) I have followed you on Twitter – alas I already follow your marvellous Instagram feed! I'm @rachaelkaygifts. I hope it's a great year of workshops for you and your students. A workshop by Lake Como sounds wonderful! Looking forward to reading your posts. Thanks for the chance to win. What a lovely offer! Thanks for the opportunity. 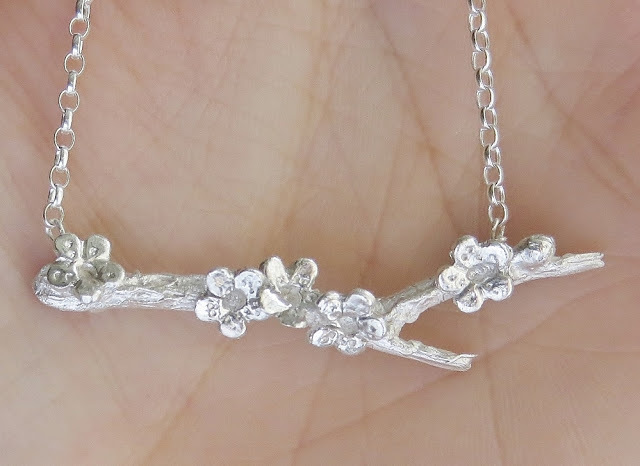 Since I'm in the US and have no plans to travel overseas…a necklace would be a wonderful win!! Thank you for the lovely offer! Love your IG feed & reading your blog…..fingers crossed! Oh that beetle – so lovely! Ps. Happy to host a workshop here in Newlands Valley if you're interested…. Great giveaway �� love your work. (Following on IG now following on twitter). I have subscribed via email! 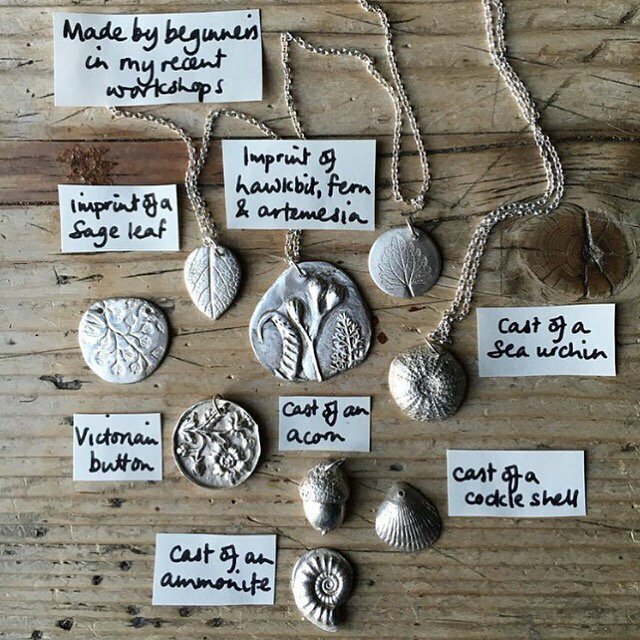 Your jewellery is absolutely beautiful and the jewellery workshops sound amazing! I'm an email subscriber – I'd love to do a workshop with you! You make the most beautiful jewellery Emma! 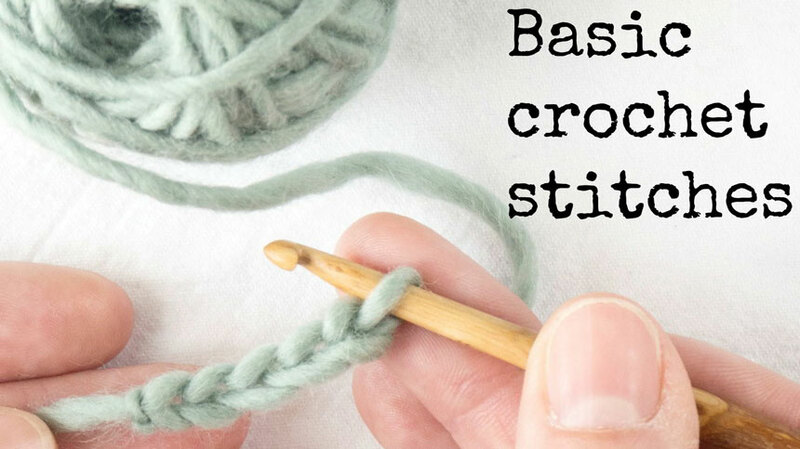 I wish I lived closer by, so that I could attend one of your workshops! Fab. Have subscribed by email and following on instagram. This is an amazing giveaway. I'd love to do one of your workshops. I'm subscribed to your blog. I have just subscribed… What an amazing giveaway. Everything is now crossed! Would love to.do a second workshop ! What a lovely idea. I have just followed you on Twitter and subscribed to your blog. I already follow you on Instagram. 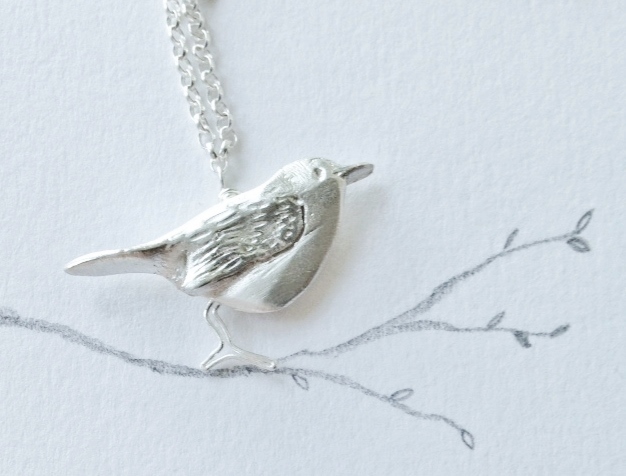 I really love your designs – I am always a fan of nature related jewellery. Thank you for the chance to win. Hello Emma, Please put my name in the hat. I 'm to far away for the workshops but would enjoy a necklace. I follow you on Instagram and on your blog.